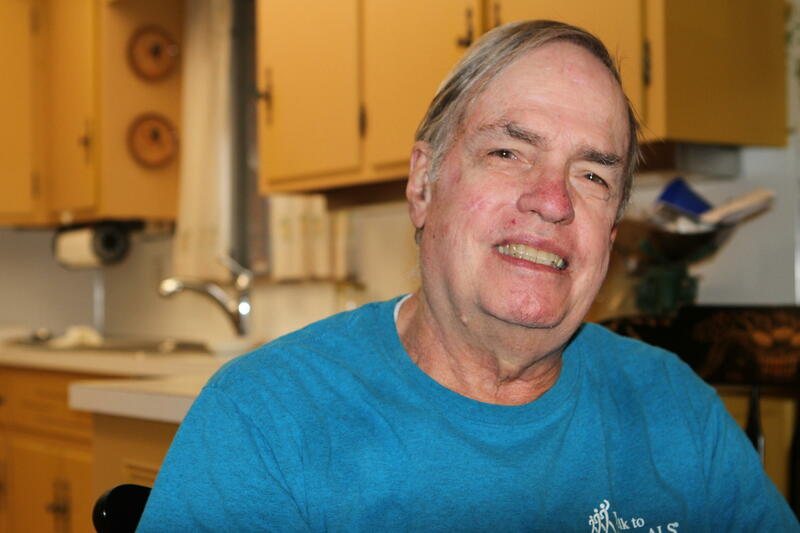 Bill Keller has lived for nine years in Courtyard Estates, a Clintonville mobile home community that's under threat of being developed into apartments. 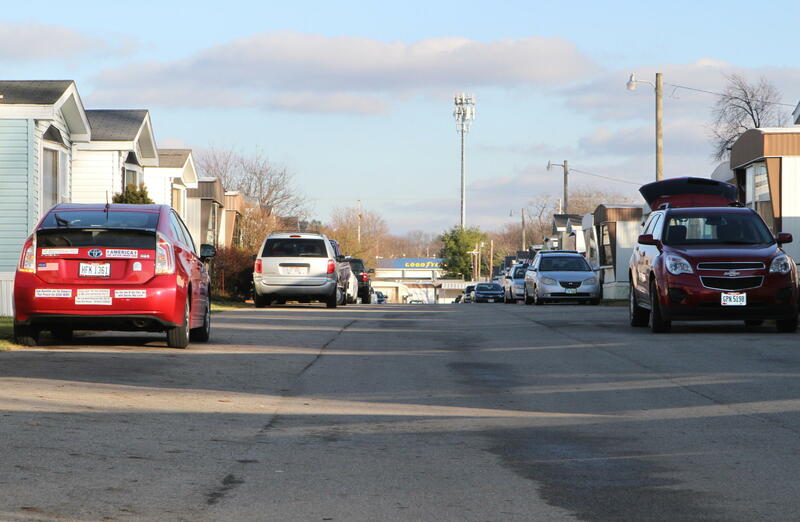 The entrance to mobile home community Courtyard Estates is tucked off a discreet alleyway adjacent to Leland Avenue in Clintonville. More than 60 senior citizens call this trailer park home; some have been here for decades. Bill Keller moved here nine years ago after his wife died. Before that, he had owned a house in Worthington for 30 years. Keller calls Courtyard Estates a little paradise. “It’s close to shopping, it’s close to Morse Road and High Street, close to bus lines, close to everything that we need,” Keller says. He installed a porch so he could chat more easily with his neighbors. He made other improvements to the home as well. Keller owns the home itself, but he does not own the land beneath it. The developer Preferred Living bought that land four years ago, but now wants to turn the community into apartments. That would effectively displace the residents, most of whom are senior citizens with low incomes or disabilities. Now, Courtyard Estates is fighting against its own destruction. Keller heard through the grapevine that the local developer is considering turning the property into an apartment complex. “We found out kind of by accident through the Delawanda neighborhood, which is the homes around us, that they had been approached by the people that now own this ground that they want to have us all moved out and they want to build apartments here,” Keller says. Courtyard Estates has a population mostly comprised of low-incomes seniors or seniors with disabilities. Many couldn't afford the costs of moving, if the mobile home community was demolished. Preferred Living declined to comment for this story. The Clintonville Area Commission acts as a liaison between citizens like Keller, developers, and the city. Commissioner Randy Ketcham—who is in charge of District 6, where Courtyard Estates sits—says it’s not mere rumor. The company’s chief development officer and attorney approached him several months ago about the development. “At the time, I said the major obstacle was one of public relations. Because you’ve got about 65 family units in the trailer,” Ketcham says. Those families, plus nearby neighbors, began mobilizing and expressing their concerns at Area Commission meetings. The seniors want to stay in their homes, while nearby homeowners want to avoid increased traffic around Graceland. Ketcham says after those meetings, Preferred Living paused the project. He says this development is small potatoes compared to some of their other projects, and the company may decide the bad PR isn’t worth it. “There was a shopping center by Bethel and Olentangy on the Northwest side," Ketcham says. "When Kmart went out, they developed that into Taylor House, which is a pretty mammoth apartment complex there." To move forward, Preferred Living would need to file for zoning variances. Then, the Clintonville Area Commission would make a recommendation that would finally need city approval. Courtyard Estates resident Mary McGrath says she hopes Preferred Living does not go through with the development. “It’s totally unfair to give people who thought they were going to live here until as much time until they return to Heavenly Father, all of a sudden to find out they have six months to move a home,” McGrath says. Randy Ketcham, the local representative for the Clintonville Area Commission, says he hopes the developer may reconsider its plans for the mobile home community. In addition to the hassle of moving, it costs around $5,000 to relocate a mobile home. That's a lot for this population, which is not financially secure. A manager for the property who asked not to be named for fear of losing his job, says the situation makes him sick. Ketcham says even if it’s not Preferred Living, a developer may eventually try to push the seniors out of Courtyard Estates. Courtyard Estates residents are hoping to eliminate that possibility. Later this month, they will meet to discuss the possibility of purchasing the land as a group. Welcome home, “Kangaroo Crossing” sign.